I am so excited to publish this tutorial for you. Compared to my last tutorial, "My Eveyday Makeup Routine", this one is a bit more complex and requires some extra steps. I call it "Purple in The Light" because the eye look is dominated by purple hue and champagne colors. If you are a beginner and you haven't seen my last tutorial, then you should check it out first by clicking on this link. It will help you understand the second tutorial better. Anyway more about this look. 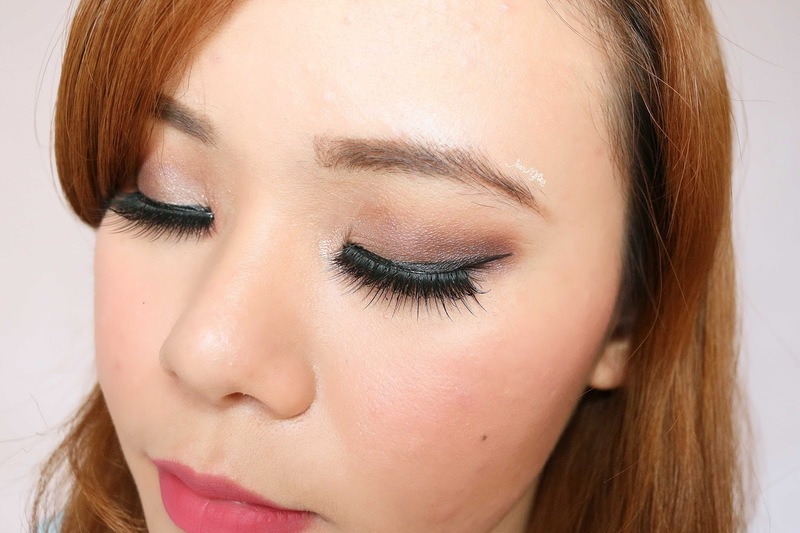 It's quite basic and really my-type-of-makeup look; especially for special occasions. I was using dramatic fake lashes, but you can definitely change to more natural looking lashes. If you want to play with the colors, a dash of purple or pinkish tone shadows would be among the first color range you should try. Here is the video tutorial for this makeup look. I am sorry for my english sub-text because most of my videos will be in Bahasa. I am not that fluent in english, so I hope you all understand. But of course I will always provide you pictorials in english, also you can still follow the step by step tutorial by watching the Video. That is all there is about this makeup look. I hope you liked it. Please tell me what you think about this makeup look by leaving a comment down bellow. In addition, don't forget to tell me what kind of makeup tutorial you do want me to do next. 2 komentar on "Makeup Tutorial : Purple in The Light"
Aku awalnya juga nyebayangin bikin video ngerasa pasti susah banget. Ternyata jauh lebih mudah. Iya betul baget, kalau foto itu susah banget. Trus lama. Kalau video tinggal pas sebelum ke event aja, jadi makeup nya sekalian.